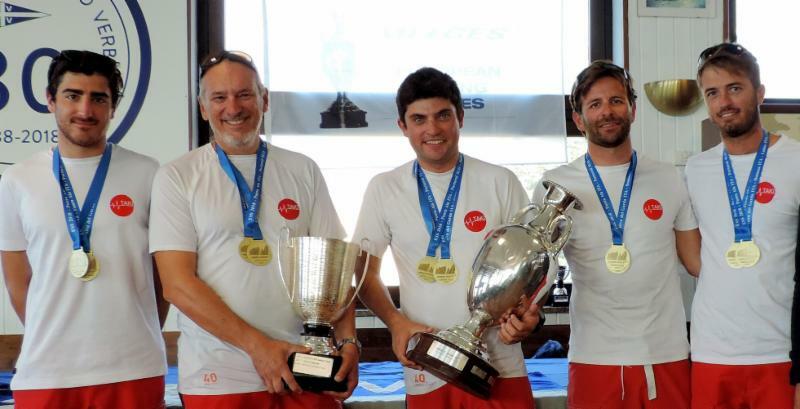 FREIDES WINS MELGES 20 WORLDS — AGAIN! 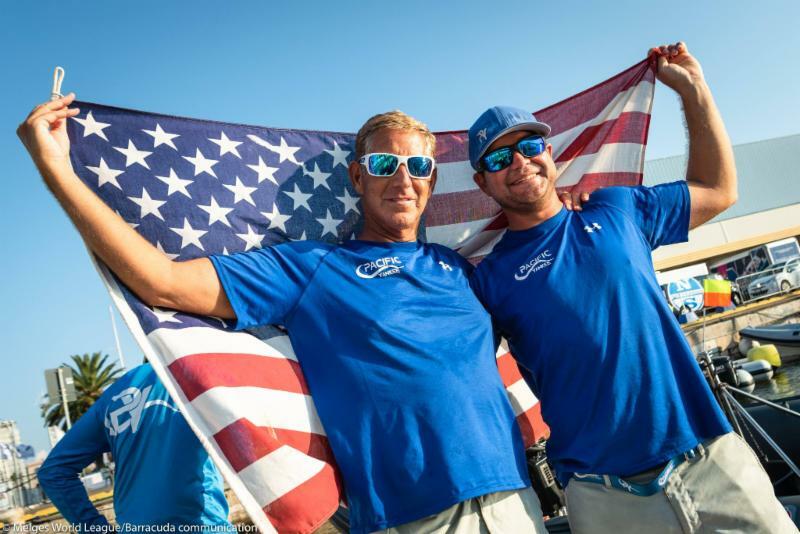 Second consecutive Melges 20 World Championship title for Drew Freides 's Pacific Yankee Team! All it took was one last, wild ride the final day of competition to give the International Melges 20 Class Association its second-ever, double, back-to-back World Champion - Drew Freides' PACIFIC YANKEE . His magic combination team of tactician Morgan Reeser and crew Charlie Smythe came from third to finish first overall, crowning them supreme for a second year in a row. 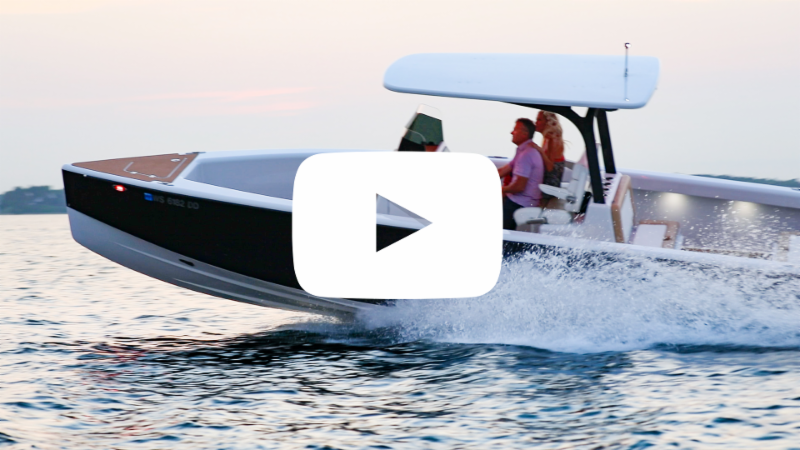 Watch Freides in this Melges Interview: bit.ly/2018M20WorldsVideo . See the Photos: bit.ly/2018M20WorldsPhotos . Time to GET UP & GO to Miami for the Melges 20 Miami Winter Series and the 2019 Worlds! Come for the great competition and beautiful Miami racing conditions and stay for the Class's camaraderie and fun Melges Experience! Now's the time to join the Melges 20 fleet. Charter boats are available for the Series and for the Miami Worlds. Reply to this email for more information. Top: ZINGARA . Middle: AVERAGE . Bottom: TAKI 4 . 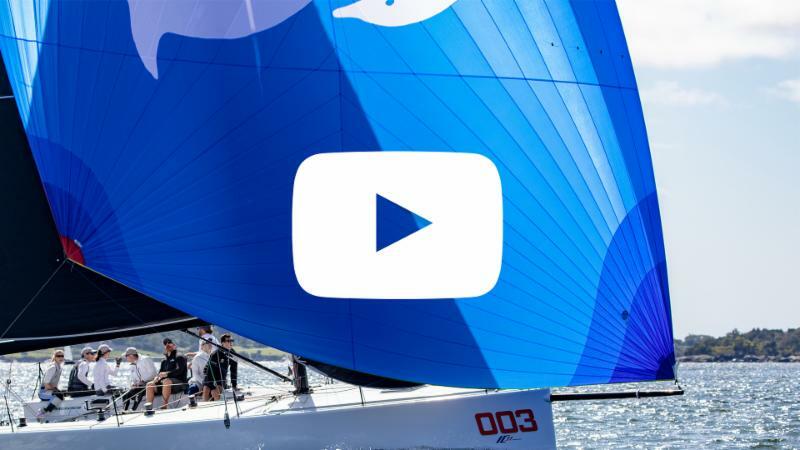 The three-staged 2018 M24 NorAm Tour boasted a top-flight international fleet of forty-nine Melges 24’s sailing in two spectacular venues on the west coast of the North American continent- Victoria, British Columbia and Belvedere, California. Richard Reid’s ZINGARA earned the 2018 M24 NorAm Tour title in a very close competition for the Tour’s perpetual trophy. Tied for second were former US Champion Bruce Ayres’ MONSOON and three-time US Champion Alan Fields’ WTF . 2018 Melges 24 European Sailing Series has come to its end in Luino, Italy. After six events – held in Punta Ala, Portoroz, Torbole, Riva del Garda, Domaso and Luino – the overwhelming winner both in overall and Corinthian division is reigning Melges 24 European Champion TAKI 4. 82 teams from 21 nations, including 61 Corinthian teams participated, and a total of 44 races were sailed. The 2018 E Scow National Championship was held in Oshkosh, WI on Lake Winnebago. 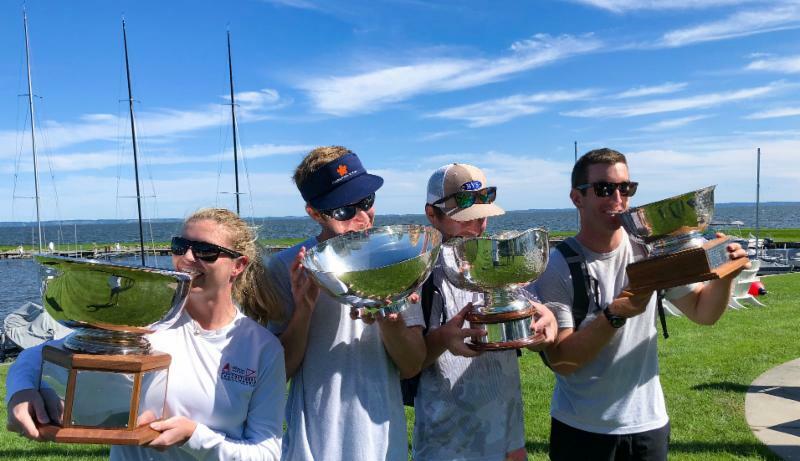 Congratulations to Vincent Porter, Coye Harrett, Clifford Porter, and Addy Ferguson on besting the fleet of 56 Melges E Scows to be crowned National Champions. Overall it was a stellar three days of racing on what is always a memorable lake. 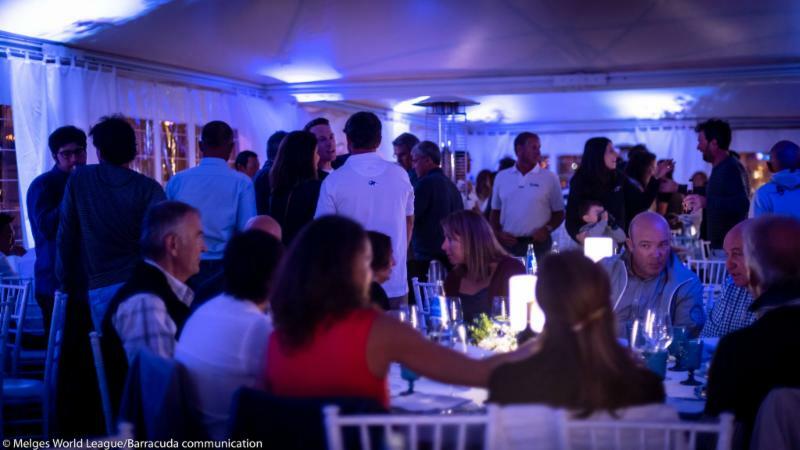 Oshkosh Yacht Club, with The Waters as social headquarters, was an ideal setting for such a prominent event. 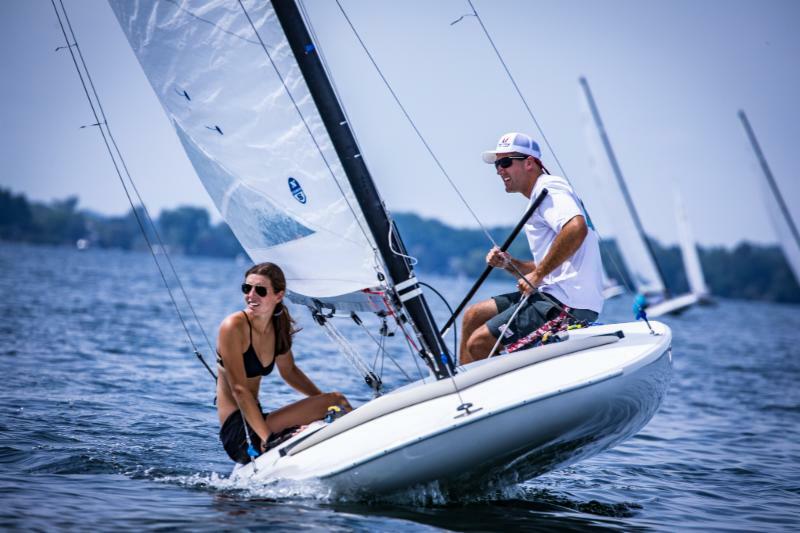 Sailors are looking forward to the ILYA Championship held by the Oshkosh Yacht Club August 14-18, 2019. 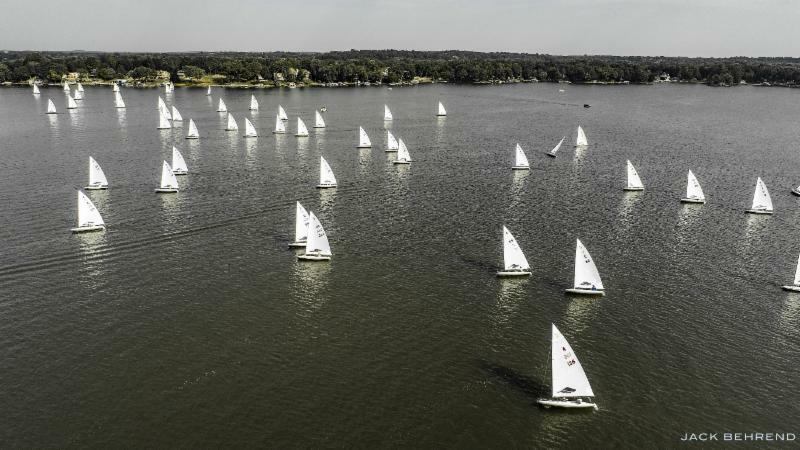 The 2018 E Scow Blue Chip was held at Pewaukee Yacht Club September 21-23. Congratulations to Eddie Cox, Will Crary, Ed Cox and Tom Fritz for taking the championship with a final score of 1,3,1,1. The Blue Chip is Pewaukee Yacht Club’s signature event. Competitors must qualify to receive an invitation. The regatta has been sailed on Pewaukee for over 50 years. 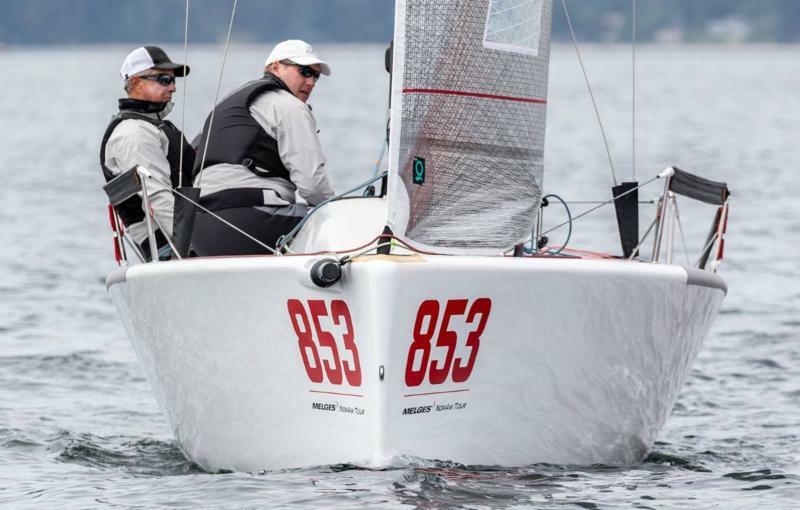 Melges IC37 Class rules require crew to be World Sailing Group 1 (amateur) sailors, incentivize youth sailors onboard, and mandate that each team has at least one woman, two if the team has eight or more people. Learn more about the new Class at www.MelgesIC37Class.com . 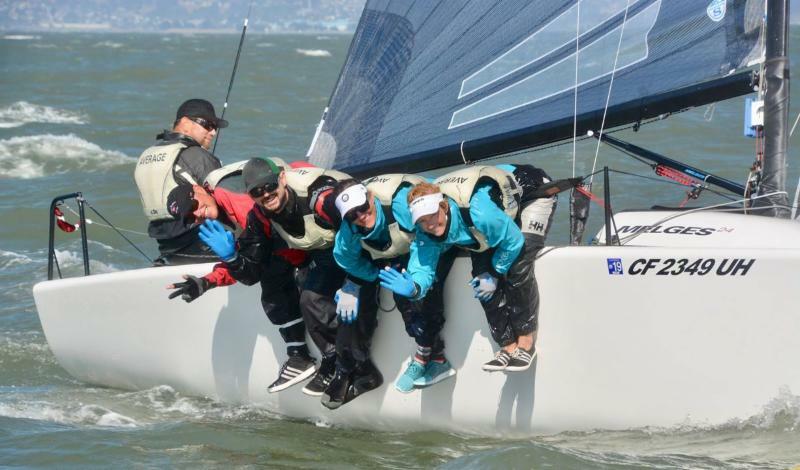 Melges MC winter racing is strong! Sail and race with other MC sailors in Eustis, Florida for the Triple Crown racing series of three regattas this winter. 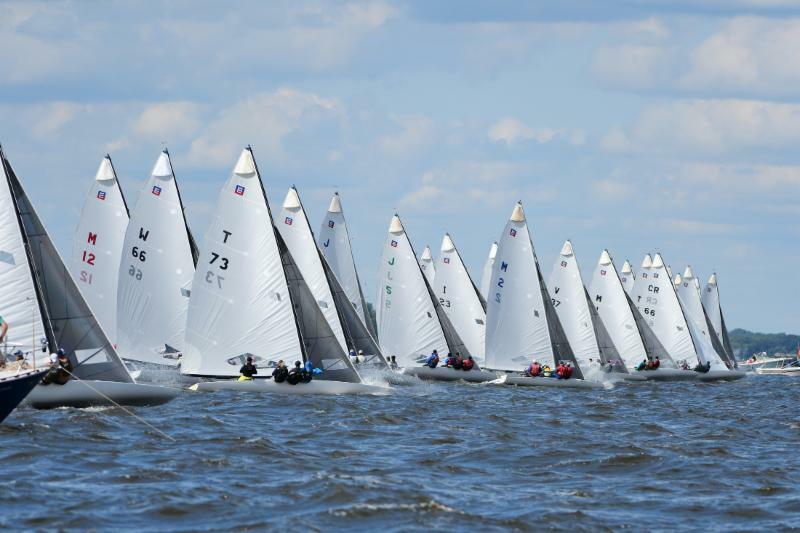 Lake Eustis Sailing Club of course hosts the famous Zenda University MC course along with the class's Midwinter Championship which annually attracts as many as 80 boats. 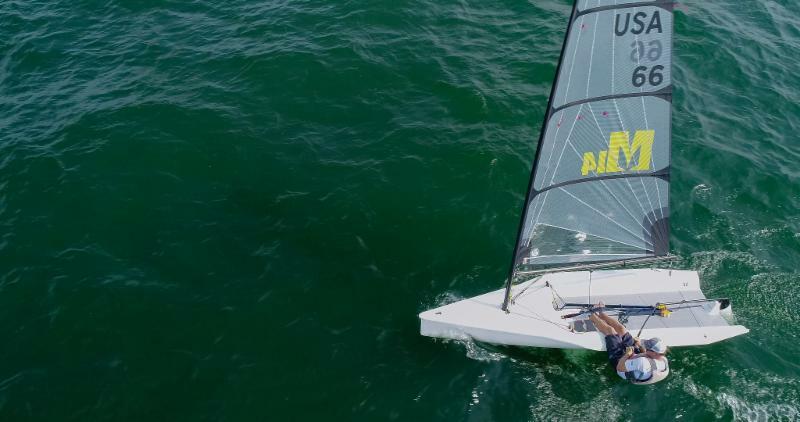 Melges is building lots of new MCs for the 2019 season! Gear up with sails from North Sails Zenda. Inquire about pricing and availability of new boats, new sails, new covers, and authorized Melges parts. 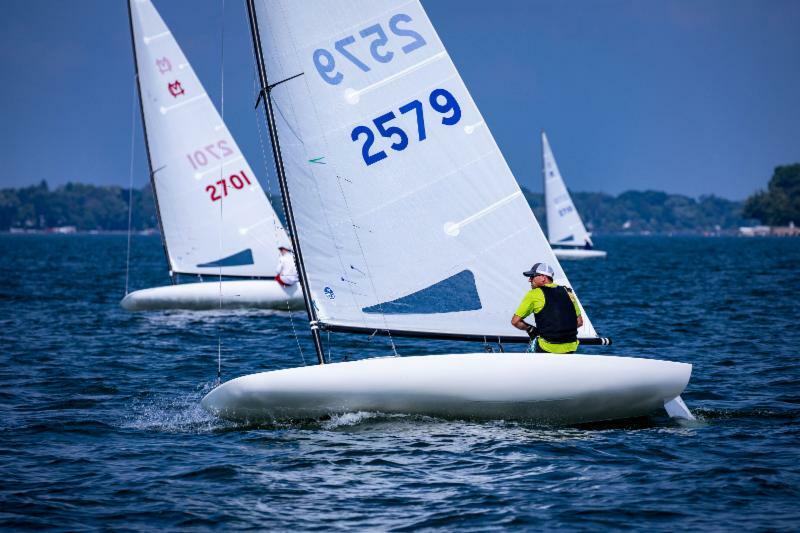 Sailors are preparing for the second annual Melges 14 Southern Championship, to be held Oct 27-28 just outside Atlanta at the Lake Lanier Sailing Club. Limited regatta charters are available, and the Melges Team is here to help with boat transportation from Zenda to the regatta site. Contact Melges for more information.